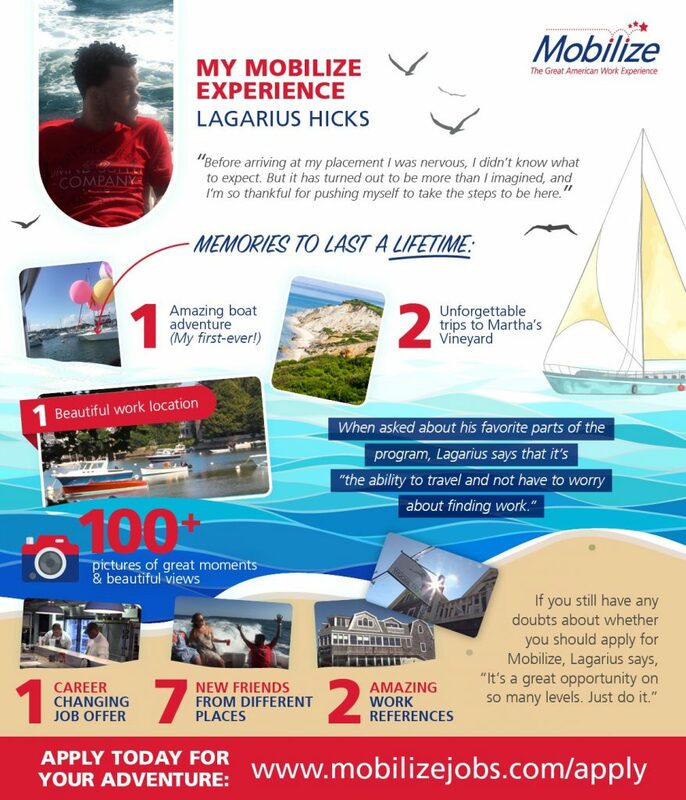 Get the scoop on Mobilize: Lagarius talked about his experiences in the Mobilize program in this blog post. Mobilize is a professional, structured employment program that provides Americans with seasonal, paid work across Canada. You work with different employers seasonally, and gain valuable work experience in a variety of roles and locations. Positions are mostly in the restaurant, tourism and hospitality sectors, with new industries being added all the time.